This is for the Freshly Made Sketch#296 here. 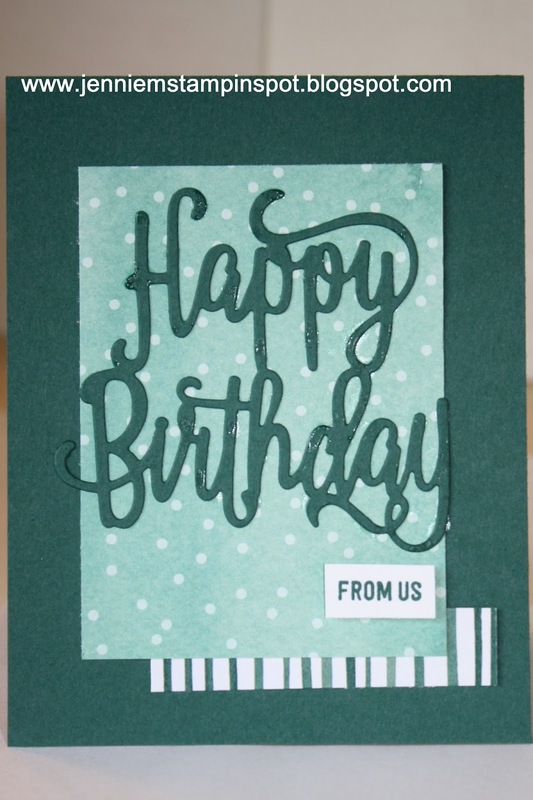 Thoughtful Banners is the stamp set with the Happy Birthday Thinlits as the main greeting. I love this die and you have shown it perfectly! Love the pop from the striped DSP. Glad you joined us this week at FMS! 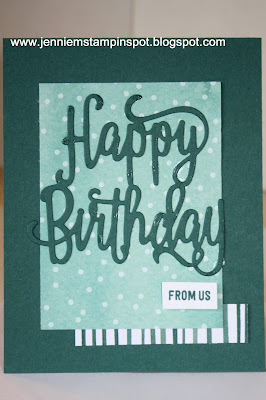 A fabulous monochromatic card! I love that die! Thanks for joining us at Freshly Made Sketches this week!